Carving out a niche in the heady early days of the British punk-rock scene wasn't easy. 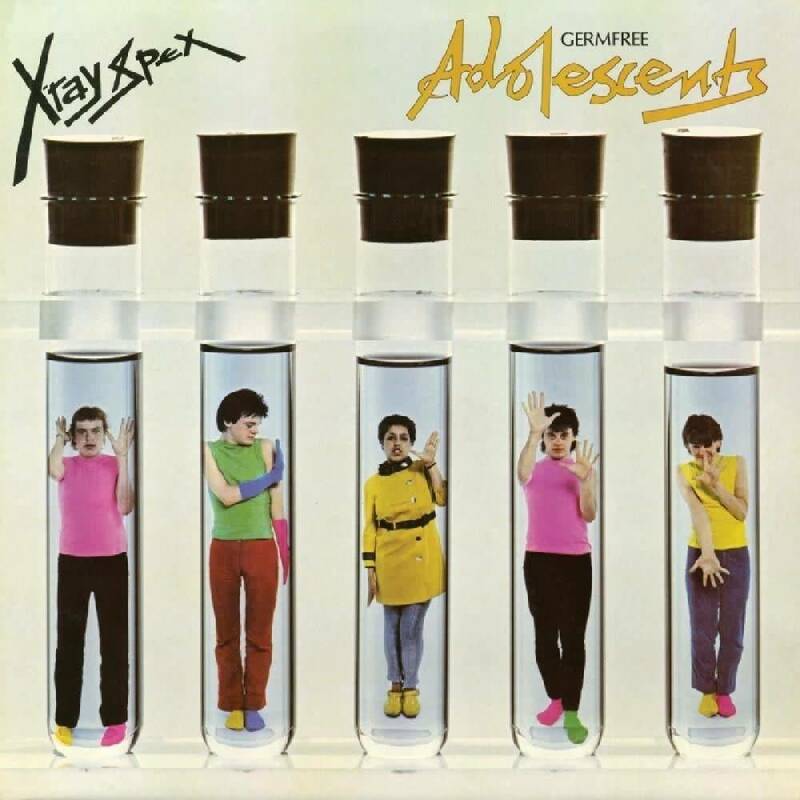 X-ray Spex prevailed by creating one hell of a ruckus with guitar and sax providing the wall of noise and by focusing attention on irrepressible bandleader and vocalist Poly Styrene. Her songs dealt with teenage boredom and the absurdities of life in the modern world. alas, Germ Free Adolescents is the only document this wildly unique and entertaining band left us to remember them by. but what a document it is. Included here are such minor classics as The Day The World Turned Day-Glo and Warrior In Woolworths. Limited clear vinyl.